Tonight: #Day2018 — our fifth annual Day Lecture. 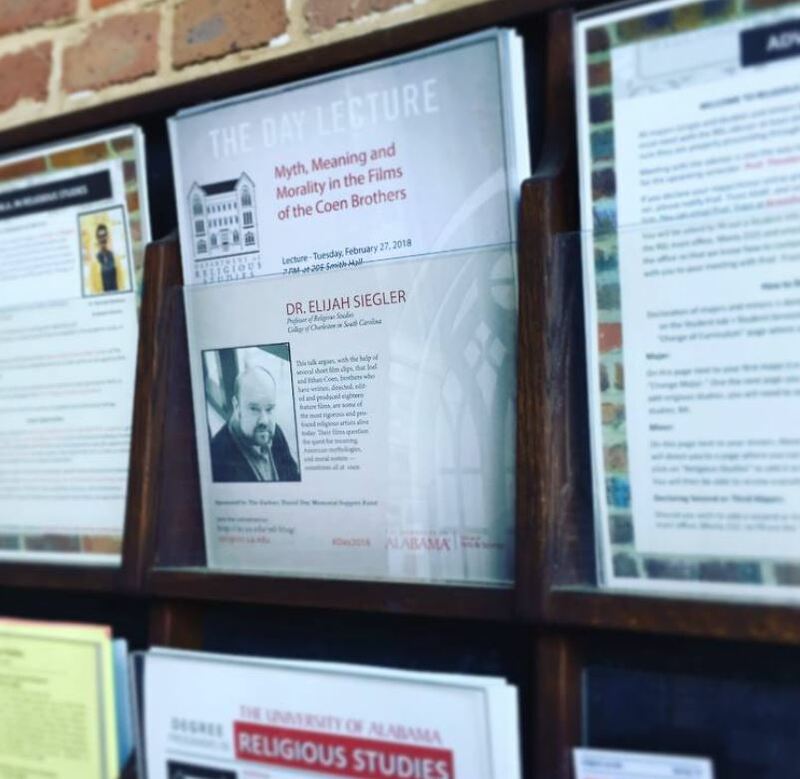 The topic of this series is religion in pop culture and tonight we have Dr. Elijah Siegler visiting campus — he had a busy day yesterday of visiting with faculty and students — who will be talking about the Coen Brothers’ movies. It’s in Smith Hall 205 this year, starting at 7 pm. Looking for a crash course on Coen movies…? We’re very pleased to announce that Dr. Elijah Siegler, of the College of Charleston, will be our 2017-18 Day Lecturer. The date for the event is still to be set, but we anticipate it being early in the Spring 2018 semester and we’re looking forward to Dr. Siegler being on campus for a couple days, visiting classes and meeting with students and faculty. In his public lecture, Dr, Siegler will be speaking on what a scholar of religion might have to say about the films of the Coen brothers. His title: Myth, Meaning and Morality in the Films of the Coen Brothers. For more on the Day Lecture, visit it’s page on the Department website. 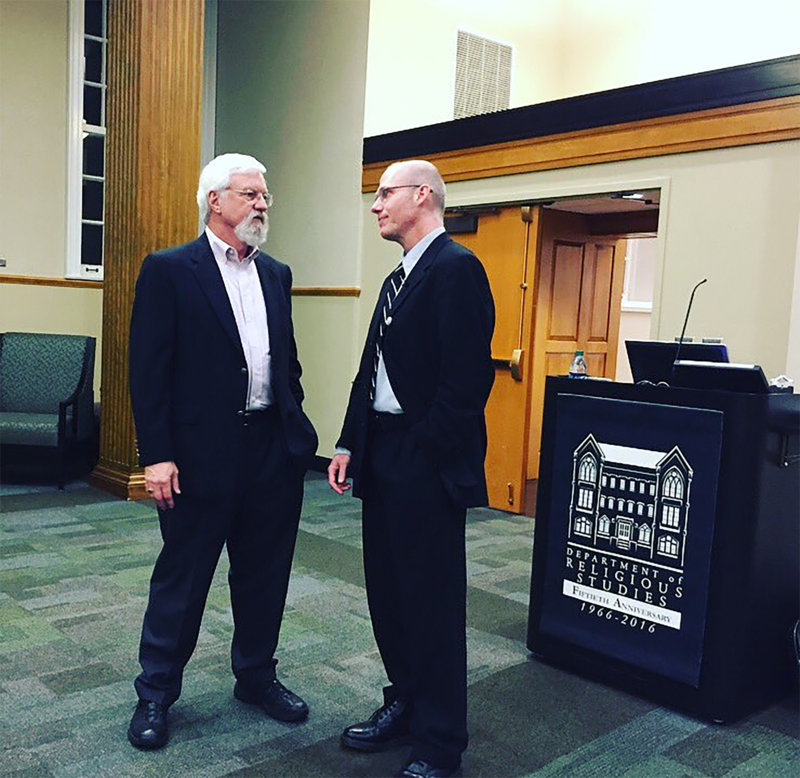 Dr. Jason Bivins speaking, prior to his lecture, with Charles Day, whose family and friends have generously made this series possible. 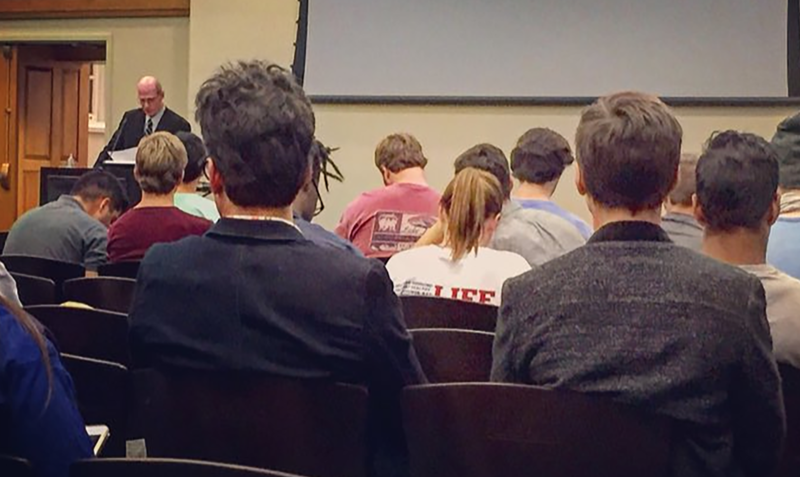 In this concluding episode of our five-part series on the 4th Day Lecture, Dr. Bivins summarizes the central themes of his lecture, providing a few closing remarks on the commonalities between religion and jazz. If you want to learn more about the Annual Day Lecture, click here. 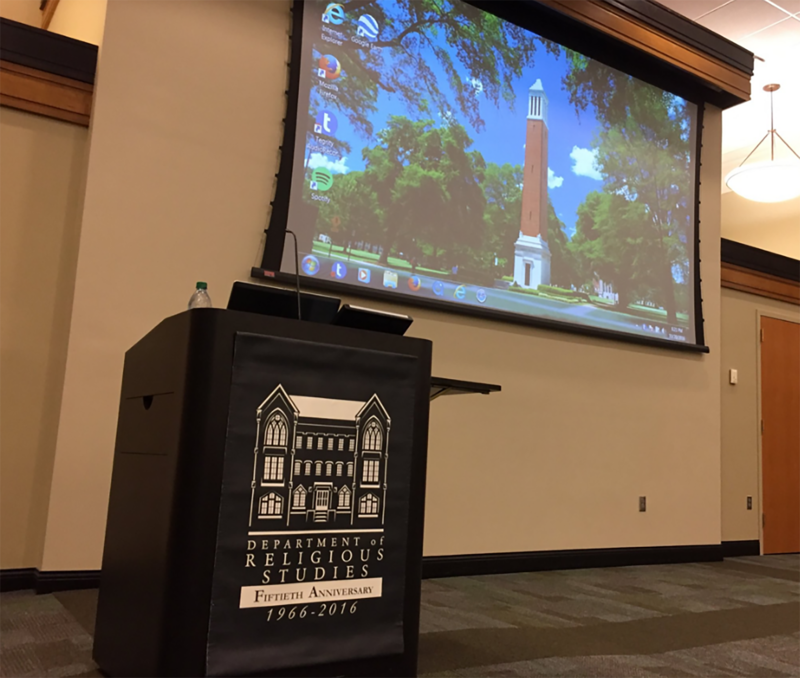 The Fourth Annual Day Lecture 2016: Dr. Jason Bivins, Episode 5 from UA Religious Studies. Every episode of the Day Lecture is available here. 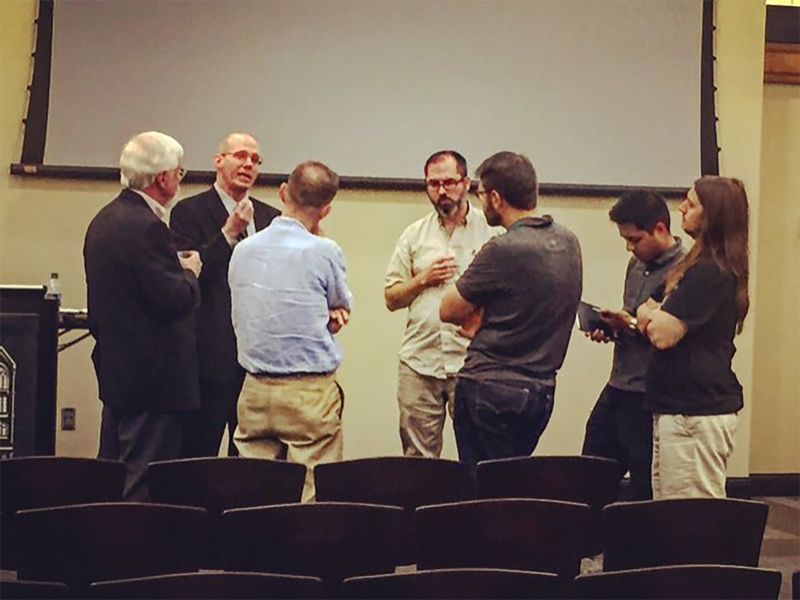 Dr. Jason Bivins speaking with audience members after the conclusion of his lecture; at the far left is Mr. Charles Day, whose family & friends have made this series possible. Spirits Rejoice! 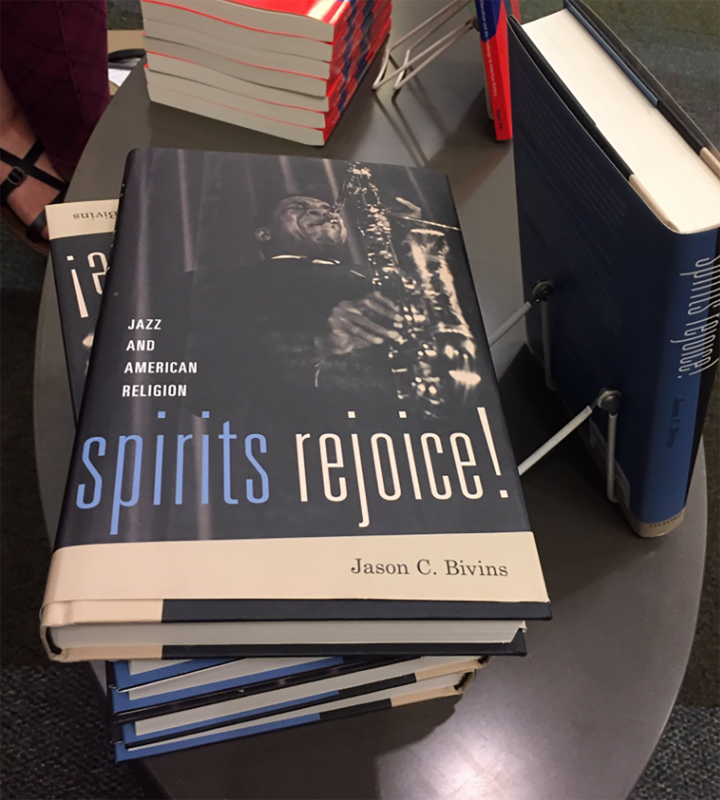 by Dr. Jason Bivins discusses in further detail the research he presented in his lecture on jazz and religion. An attentive audience listens to Dr. Jason Bivins present his lecture on the “smoky” associations between jazz and religion. For more information on the Annual Day Lecture, click here. Dr. Ted Trost introduced the fourth annual Day Lecturer. 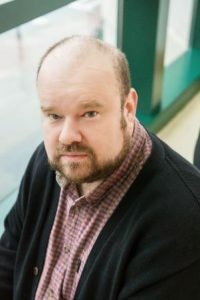 Dr. Trost teaches courses in American Religious History, Religion and Popular Culture, Bible, and Religious Rhetoric in Literature and Film. 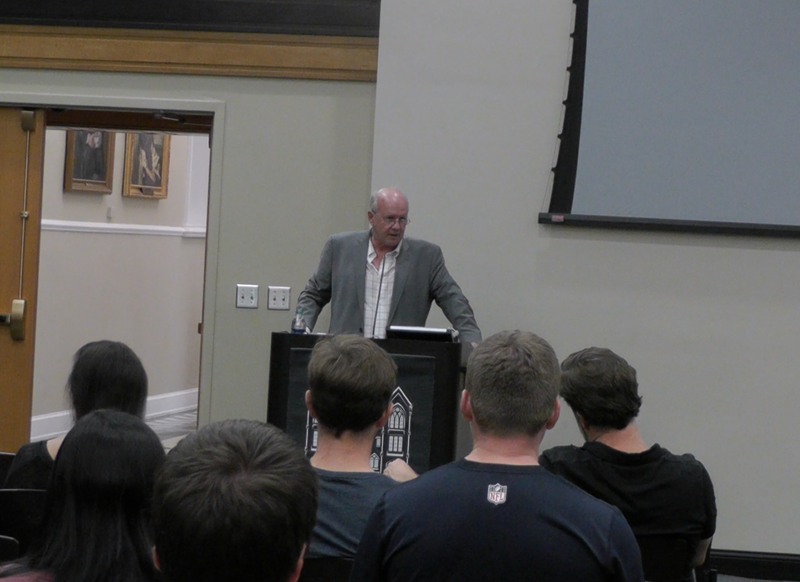 This semester Prof. Trost is the Interim Director of New College. 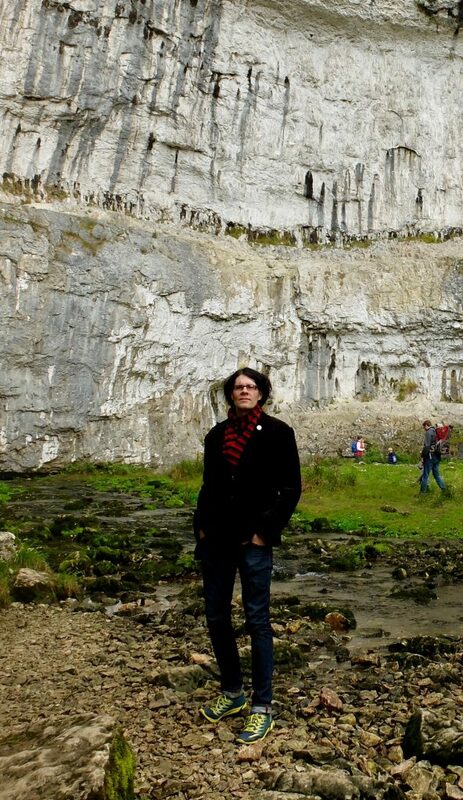 The Day Lecture was generously established by friends and family of the late Zach Day, a graduate of our Department, to honor his memory, and is now an annual event thanks to the memorial fund named in his honor. 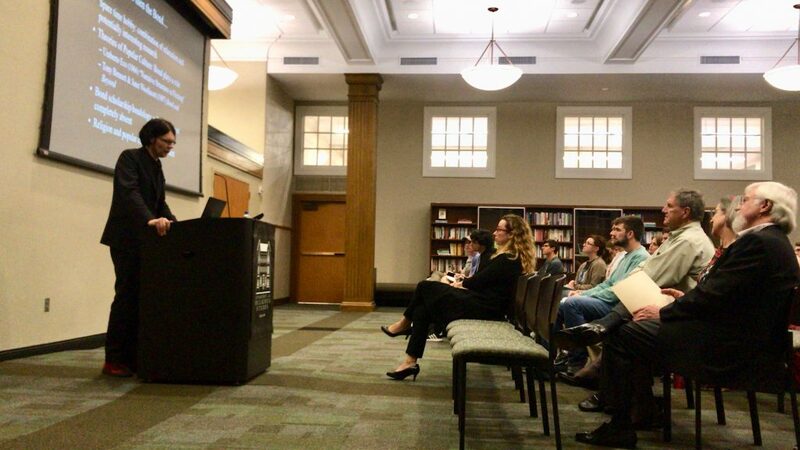 The topics of these lectures are based around Zach’s interest in religion and its relation to popular culture through music, art, videos, gaming, and literature.